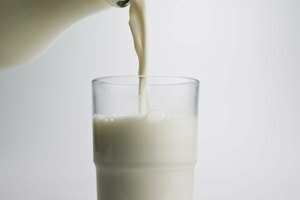 Cream is the portion of fresh milk that floats to the top after standing for 24 hours, according to Irma S. Rombauer, author of "Joy of Cooking." It rises to the top because it has a higher fat — oil — content than the rest of the milk, between 32 to 40 percent butterfat. Whipping cream is used as an ingredient in desserts, drinks, sauces and main dishes. 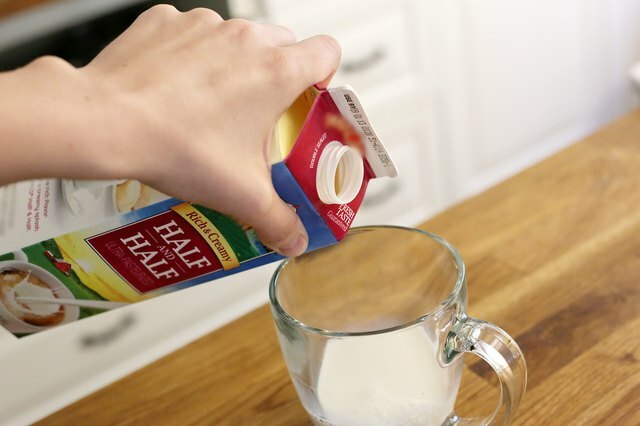 Half and half is a mixture of cream and whole milk. It has 12 percent butterfat content. 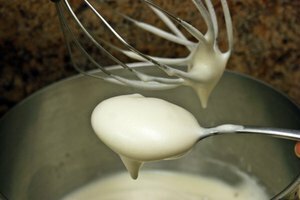 Use the same amount of half and half as whipping cream for sauces and main dishes. 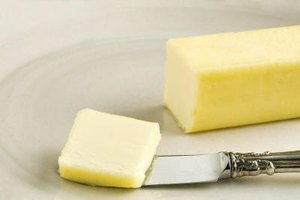 Add in a teaspoon to a tablespoon of unsalted butter for additional creaminess, if you wish. Exactly how much you add depends on the richness of the dish and the amount of the whipping cream being substituted. Use 1 tbsp. of melted butter and 1 cup of half and half for 1 cup of whipping cream. 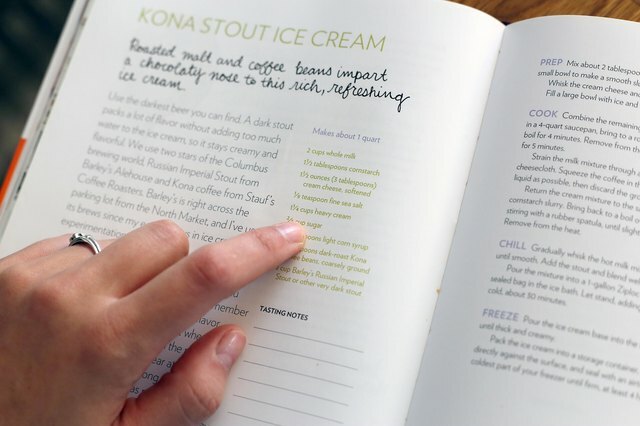 Add the combined total of milk and cream in a recipe, such as one for ice cream, mousse or a bombe. Substitute the same amount of half and half. 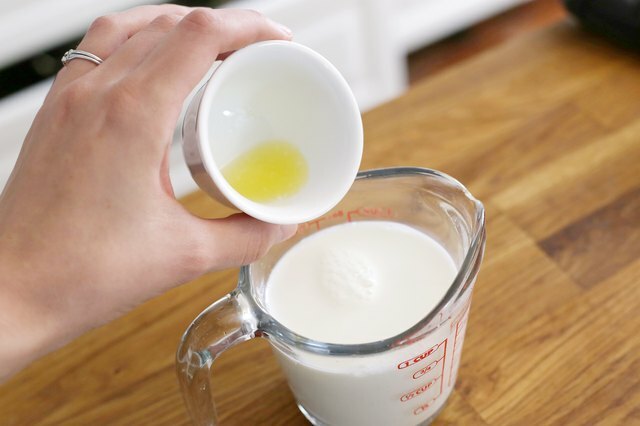 For example, the recipe calls for 1 cup of cream and 1/2 cup of milk, use 1 1/2 cups of half and half. The result will be a little less rich because you're cutting down on the fat. 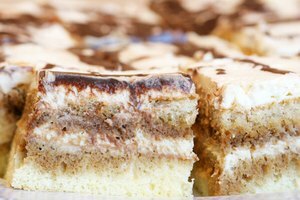 Substitute half and half with gelatin for whipped cream. Add a teaspoon of softened gelatin to 2 tbsp. of cold water. Combine with 1/2 cup cooled, scalded half and half. Add 1 tbsp. of powdered sugar. Chill overnight. Add 1/2 tsp. of vanilla and then whip on high speed for seven to eight minutes. Whipped cream made with whipping cream doubles in volume and retains the volume. 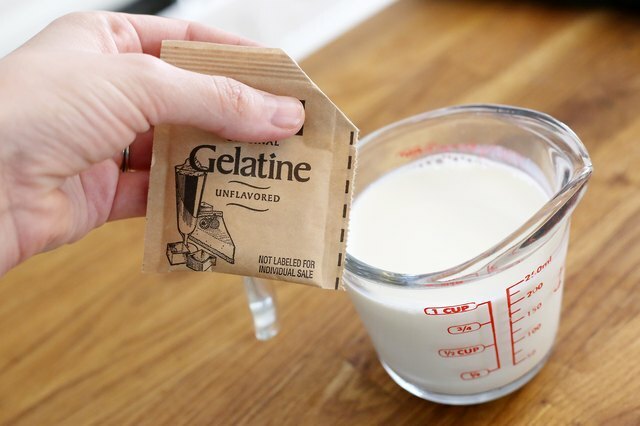 The gelatin helps the half and half retain the volume. Chill all utensils, the bowl, beaters and the cream for the best results when whipping cream.